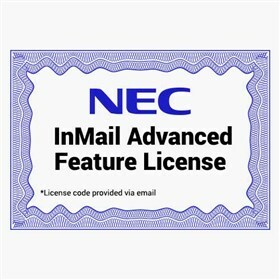 The NEC 1100084 is a InMail advanced feature license, which features e-mail notification, cascading message notification, find-me/follow-me and password options. It also has hotel/motel check-in function which supports messages, greeting, name and security code which are automatically deleted upon Check-In. The NEC 1100084 has many exciting features for users of all types. The NEC 1100084 is sold as a Brand New Unopened Item.